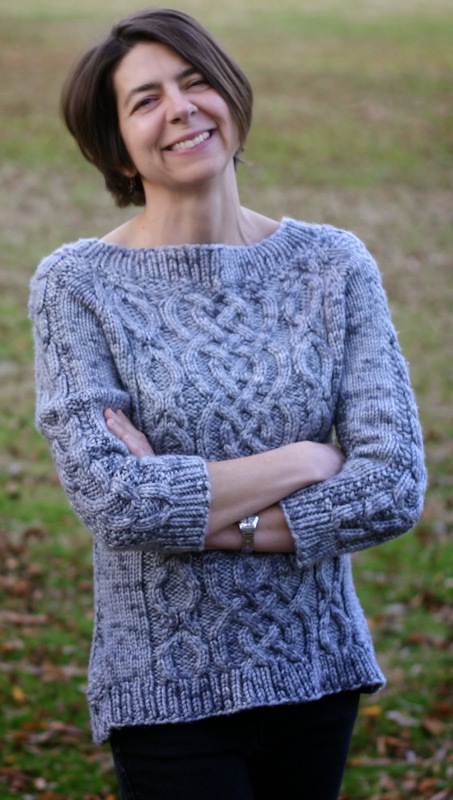 You can find Helen here, and here on Ravelry. All over the place! Mainly from my children and babies at my pediatric practice. For my adult garments, I love perusing fashion magazines to get ideas for necklines or unusual shapes. Also, my stitch dictionaries often inspire me. 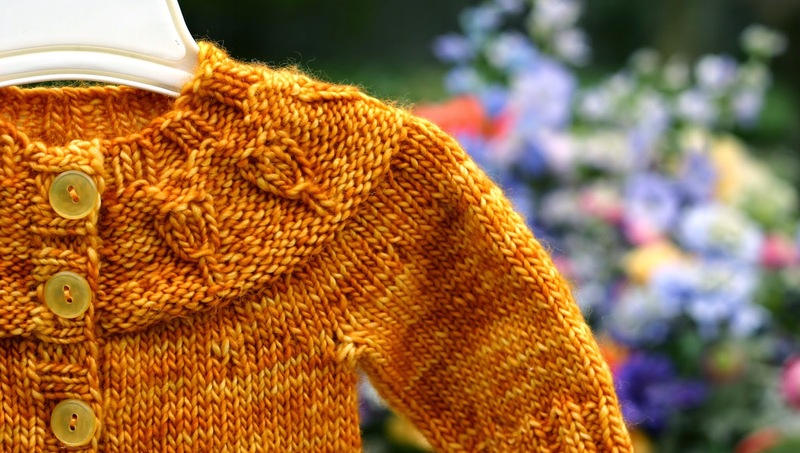 I will sometimes design a whole sweater around one particular lace pattern. I really enjoy cables, lace, and colorwork. I find constant stockinette stitch too boring and get frustrated easily. I love charts, and find that time goes quickly if I am checking off rows on a chart. I do look at other designers' work and look at what is popular on Ravelry, but I tend to file it away for later so it’s a distant memory! Inspiration is great, copying a design is wrong. This is a hard one because the more I knit and design, the harder my patterns get, and harder patterns aren’t always the most popular. I try to find a middle ground. I try to include interesting and special components to each pattern, but maintain an overall ease to working the pattern. 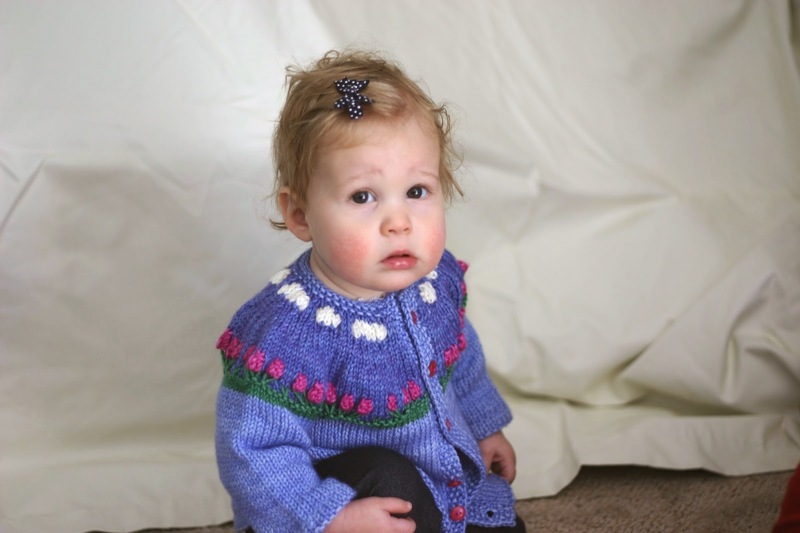 I almost always knit at least one prototype sweater while coming up with the pattern. 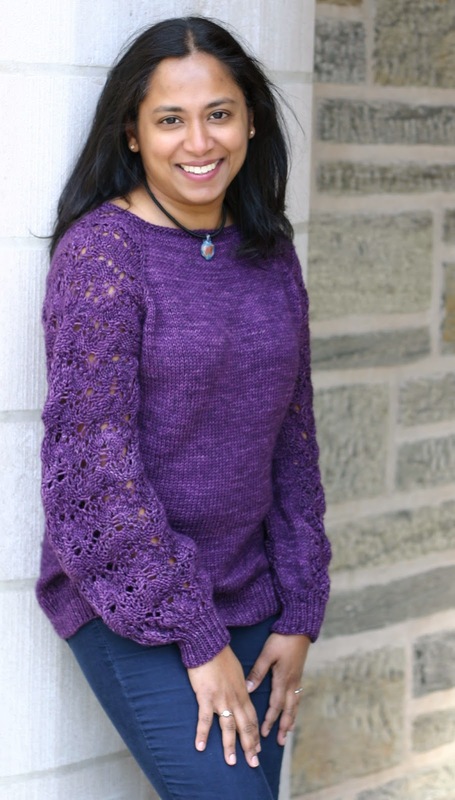 I use test knitters on Ravelry and sometimes ask one of the test knitters to knit up a certain size and send it to me for photos. For my more complicated patterns, I will pay a tech editor to double check my final draft. Not yet. My youngest goes to Kindergarten in the fall of 2015, so I plan to come up with one at that point. Right now it’s 100% hobby. No, but sometimes I wish I did! I will use Facebook to post my new patterns, but I’ve really had to focus my energy in as few places as possible because of time restraints. I mainly focus on Ravelry. My goal is to use a tech editor for all my adult patterns. 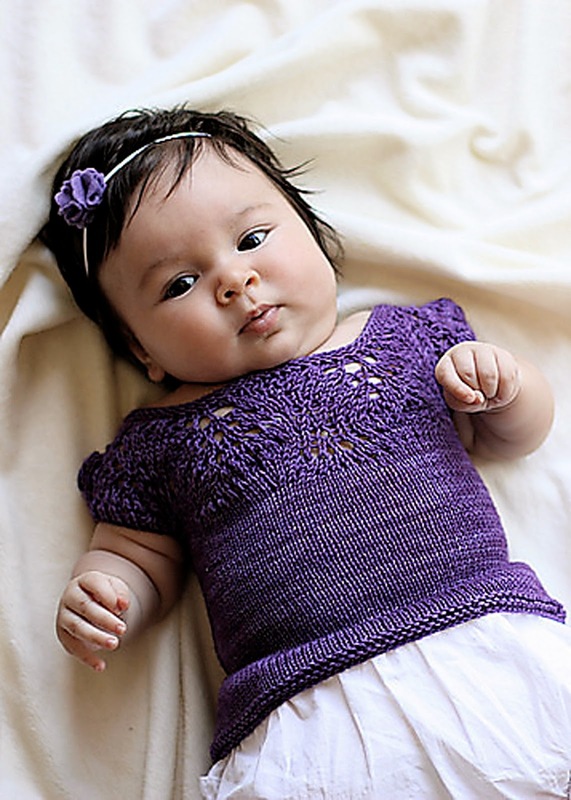 For the simpler baby patterns that have been tested extensively, I don’t use one. I try to do a little bit of knitting or knitting related work every week, but don’t pressure myself to do a certain amount. Some weeks are more crazy and knitting is last on my list and that’s okay. I answer questions and concerns quickly and thoroughly and try not to take things personally. My business makes very little money (if any), but I enjoy it! I would like to work on my website, have tutorials and a blog, and maybe eventually a book. Right now I need to finish this adult sweater in sock yarn with a lot of stockintette stitch!